In golf, it's called a hole-in-one. In baseball, a home run. And in basketball, a decisive three-pointer just before the closing bell. But for twilight photographers, today's postcard was all of the above. 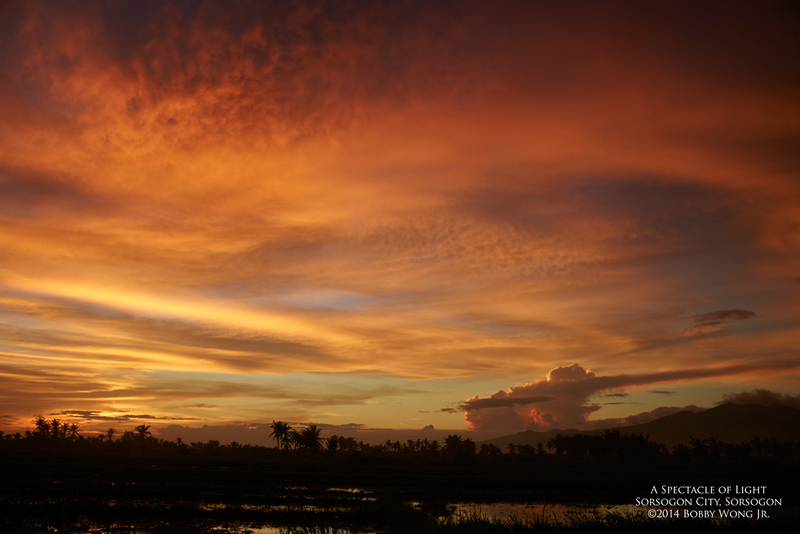 We were in Sorsogon City, much too late to get to our vantage point at sunset. We have to stop somewhere or we'll miss it, I thought. Soon we chanced upon a rice field with paddies filled with water. That will multiply the light in the sky. It's worth a try. The ground was much too soft and muddy, so there was only a few places where we can plant our feet and tripods. But in the end, it was enough to score a hole-in-one, a home run, and a three-pointer all at the same time, before all light disappeared from the sky. Enjoy.